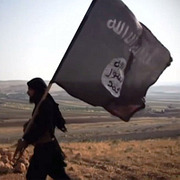 What would you do if an ISIS fighter wanted to meet up with you? You’d probably have lots of questions. What are his intentions? Is his spiritual hunger real, or is it a trap? Is the Lord really calling me to go to this meeting? Those questions aren’t new. Ananias had the same doubts when he was told to go visit a man named Saul. Christians in the Middle East face this dilemma today. This week on VOM Radio we’ll hear what happened when a Christian worker from YWAM was introduced to an ISIS fighter, a man with Christian blood on his hands. 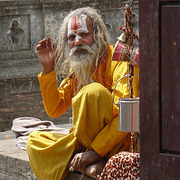 Thirty percent of the world’s population is “unreached,” meaning there is no church among their people. It’s hard for American Christians to imagine two billion people living their entire lives without ever hearing the name of Jesus or meeting a believer in Christ. Gina F. and Kevin S. are part of the leadership of Youth With A Mission’s Frontier Mission teams, sending gospel workers to those places where there is no church and the people have never heard of the love of Christ. This week on VOM Radio we’ll meet them and hear what kind of workers are going to these difficult places and how it feels when a Christian worker you sent is arrested, tortured or even killed for the gospel. “Even if you take my life here in front of my wife…I will not deny Christ.” The Iraqi Christian stood at an ISIS check point. The fighters’ guns were pointed at him. Their instruction was clear: deny your faith and become a Muslim. He said no, and miraculously God intervened and our Iraqi brother lived to tell the story. This is just one of the stories that Joe, a VOM international worker, will share this week on VOM Radio after returning from a recent trip to the Middle East. He’ll also tell how VOM helps displaced Christians from Iraq and Syria forced from their homes by the Islamic State. We’ll also learn how Muslim converts face persecution right here in the United States, and how your church can engage with Muslim immigrants and refugees in your city. 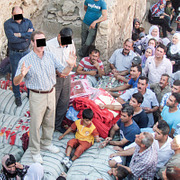 For years the Christians in Syria prayed for God to bring revival to their country. Little did they know that revival would come, but it would come in the midst of war and suffering and death. This week “Brother John” shares the story of that revival, and the amazing ways that God is working in Syria today to strengthen and unify His church and to bring Muslims to fellowship with Jesus. John also brings a challenge to American Christians: are we willing to pay a price to see revival in our own country? You’ll be encouraged to pray for Christians in the Middle East this week, and VOM’s international ministry leader will also answer a question about whether or not persecuted Christians can or should defend themselves from their persecutors. Is it easy to reach Muslims with the message of salvation through Christ? No. 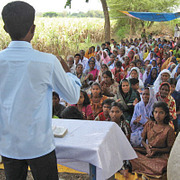 But Prem Kumar says, “We believe in the power of the gospel.” Prem is training church planters and sending out gospel workers all over South Asia…including some of the region’s most difficult areas. This week on VOM Radio he tells us how they prepare those workers to face persecution without losing their faith, and about the challenges they are facing and how they overcome. He’ll also share ideas for reaching out to Muslims, and help us pray more effectively for missionaries working on the front lines. Tori Rasmussen is a missionary to Tanzania, focusing on spreading God’s Word into African villages and equipping and training national Christians to become missionaries themselves. This week on VOM Radio he shares about his work in Tanzania, about the persecution Christians there are facing and about the challenges of equipping tribal believers for outreach to other tribes and cultures. He also shares thoughts for American Christians about gospel outreach to Muslims right here at home. 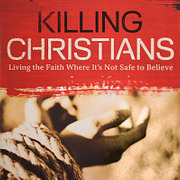 Tom Doyle, author of a new book about Christians facing persecution in the Middle East, tells us that, in spite of the advance of Islamic State, God is changing the hearts of people in the region as Christians continue to boldly share the gospel message in spite of the risks and violence. He’ll share the story of a Muslim convert forced to choose between her daughter and her Savior, and a group of pastors ready to die rather than leave the work God has called them to in Syria. Tom also challenges Christians in free nations to live with the same boldness and faith, and reminds us that believers facing persecution are praying for Christians in America. His cell phone rings. When Brother Matthew answers, it is an angry voice, threatening to kidnap his children and abuse his wife. 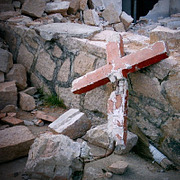 Radicals in Nepal are angry at his Christian witness and his support for Christians there. Matthew and his family have been forced to move multiple times, to different cities, because of the threats. 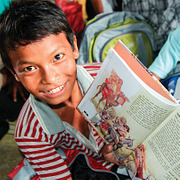 Yet they boldly continue to serve our persecuted family in Nepal. Brother Matthew says when he sees the suffering other Nepali Christians endure, he doesn't even feel his own suffering is worth mentioning. You’ll meet this brave Christian brother and learn how to pray for our spiritual family in Nepal this week on VOM Radio. Radical Islam: How Should We Respond? The face of radical Islamic terror is easy to find: simply turn on the news. But how should Christians respond? Should we pretend the challenge doesn’t exist? Should we quake in fear? 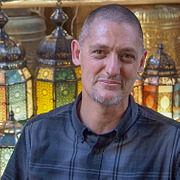 This week Cole Richards, the leader of VOM’s international work, helps listeners examine these issues through the lens of scripture and in view of eternity. 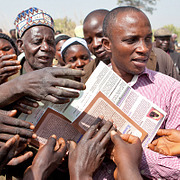 He also shares highlights of the great work accomplished by VOM’s international staff last year, including distributing more than one million Bibles and touching the lives of more than four million Christian brothers and sisters living in hostile and restricted nations around the world. Not many Americans have been attacked by Al Qaeda terrorists and lived to share the story. 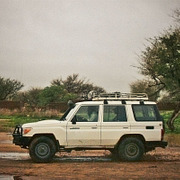 Brent Teague was shot twice and left for dead, but God wasn’t finished with Brent or with his ministry in West Africa. In fact, God had already performed a miracle to provide for Brent’s rescue…before he’d even been shot! 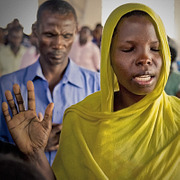 This week on VOM Radio we’ll hear Brent’s incredible story, as well as an update on recent attacks and church burnings in Niger and how Christians there are responding with love and forgiveness, even to their persecutors. In spite of Boko Haram attacks, Christian brothers and sisters in Northern Nigeria continue to serve Jesus. This week Ray and Denise Thorne share how God brought them together in ministry—through disappointment and heartbreak—to serve Him and to serve persecuted believers. We’ll hear how they met widows of martyred Christians in Nigeria, encouraged women who’d been kidnapped and abused by Boko Haram fighters and met a faithful Christian miraculously sustained by God even after being shot in the face with an AK-47, and how he encouraged his son to forgive the attackers. 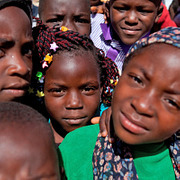 Ray and Denise’s stories from our persecuted family in Nigeria will lengthen your prayer list and encourage your faith. 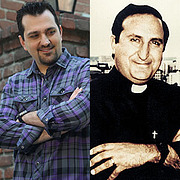 Gilbert Hovsepian’s father, Pastor Haik Hovsepian, was a church leader in Iran with an outreach to Muslims and a voice that wouldn’t be silenced. He was threatened many times. Then he disappeared. For 12 days Gilbert and his family searched and worried. Gilbert says those 12 days were the hardest of his life. Then Haik’s body was found, stabbed repeatedly. 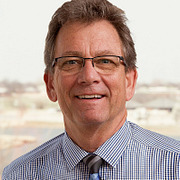 Listen to VOM Radio this week as Gilbert shares how his family responded, and how the prayers and care of the Body of Christ around the world encouraged and carried them. He’ll also share how God has taken the misery of those days and used it to shape a ministry that still reaches into Iran today, strengthening the church and leading Muslims into fellowship with Jesus. One of the great blessings of traveling for VOM is meeting bold and on-fire believers serving Jesus in hostile and restricted nations. That great blessing comes with a heavy burden, though. Especially when those believers—people we know and love, people with whom our staff have shared fellowship—come under severe persecution. This week on VOM Radio, Jeremy, part of VOM’s international team, will tell us about that burden. We’ll learn what it’s like to get that phone call that says one of our partners—and a close friend—has been gunned down in Afghanistan. Last week Brian and Louise shared about their efforts to plant a church in Mongolia. This week they unwrap some of the principles they learned in that process, lessons they are now teaching to pastors and church leaders around the world, including nations where VOM works. We’ll also hear a first-hand report from a former prisoner for Christ in Uzbekistan, who tells us that the letters we write to Christians in prison really do make a difference. 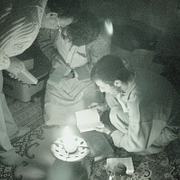 You can write a letter to a Christian imprisoned for their faith at www.PrisonerAlert.com. 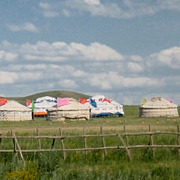 Brian and Louise were part of a church planting team in an isolated city in Mongolia. They saw God do amazing things as the gospel took root and the church grew in strength. 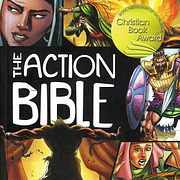 But they also saw Satan attack, trying to regain territory he’d lost to Christ’s Kingdom. The attacks even reached into Brian and Louise’s own home. 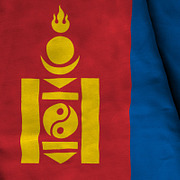 Listen in to hear the story of God’s work in Mongolia, and Brian and Louise’s testimony that even in the darkest times, God was faithful. We’ll also answer a listener’s question about Action Packs and how packing an Action Pack is a blessing for a Christian family in a restricted nation, and for the American family that packs the bag.